Simple lines that enchant everyday life. 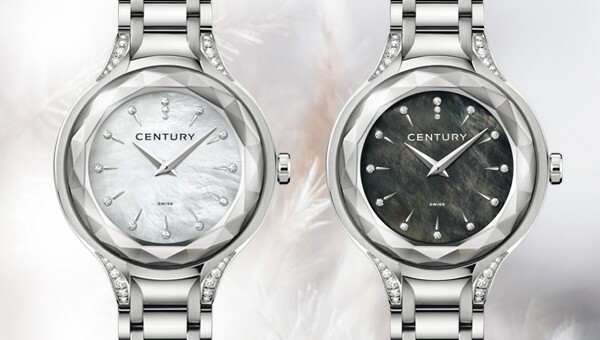 A new arrival in the CONTEMPORARY TIMEPIECE collection, dedicated to everyday CENTURY watches, FIRST CLASS immediately makes an impression of strength mingled with irresistible softness. Its flowing lines emanate timeless elegance and a feeling of power similar to that of the great rivers such as the the Amazon, the Saint Lawrence and the Nile. The delicate, feminine FIRST CLASS brings about a feeling of tranquillity and confidence, forged in the steel of the bracelet and in the soft horns of the surround which cradles the CENTURY sapphire case, featuring forty-eight manually cut and polished facets. Forty-eight is not a random number: it is separated into twelve sections which reflect the twelve delicately slender teardrop-shaped hour markers against a white mother-of-pearl background. With each movement of the wrist, the appearance of the FIRST CLASS changes: the light bounces from facet to facet, emphasising the meticulous design by CENTURY craftsmen. The surprising, versatile FIRST CLASS reveals its jewellery aspect as it playfully metamorphoses throughout the day. Special attention has been brought to this everyday companion of a watch. It is expressed in the alternation between matte and shine, in the signature creative allure visible from the hands to the hour markers to the horns of the case, and in the lines of the bracelet that graciously blend with the round case. The curved links and soft feeling in wear are designed to provide a luxurious daily experience. 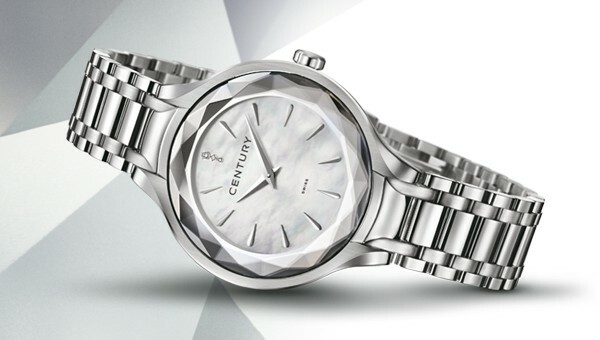 CENTURY expertise shines through the openworking along the sides revealing the brand’s timeless signature sapphire case. The true heart of the watch containing the movement, the chromatic simplicity of the case reveals the MEGALITH technique developed by CENTURY which enables two sapphires to be fused into one solid piece. Model in steel. CENTURY sapphire with 48 facets cut and polished by hand. Natural mother-of-pearl dial. Quartz movement. Steel bracelet.